The U.S. Food and Drug Administration said its tests confirmed the presence of the dangerous bacteria Listeria at a San Antonio produce plant shut down last month after it was linked to at least four deaths in Texas. The agency recently released its findings as part of an investigation into the SanGar Fresh Cut Produce plant closed Oct. 20 by the Texas Department of State Health Services. 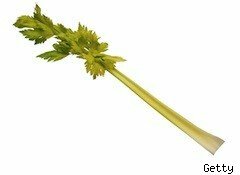 Lab tests showed chopped celery was contaminated with Listeria monocytogenes, which can cause a severe and sometimes fatal illness. Those tests were part of a probe into 10 cases of Listeria infection, seven of which have now been linked to the celery. State DSHS spokeswoman Carrie Williams said a hearing will be held Wednesday to determine when the plant can reopen for business. "We need to be sure the company can provide safe food before it can reopen," she told Consumer Ally. SanGar attorney Jason Galvan could not be reached for comment. He previously told the San Antonio Express-News that the company is working with authorities and hoped to reopen soon. At the time of the plant closure, the company president disputed the test results, saying the plant had never failed an inspection. The FDA also released observations its inspectors made when they went to the plant before it was shut down. The report detailed instances of alleged improper equipment cleaning and produce stored directly on the plant floor, among other issues.